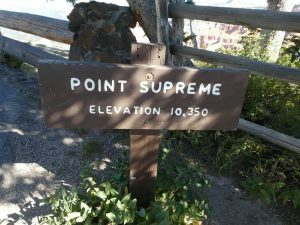 I was heading to Utah for a horse camping trip and wisely planned a little extra time for adventure along my way to Torrey. 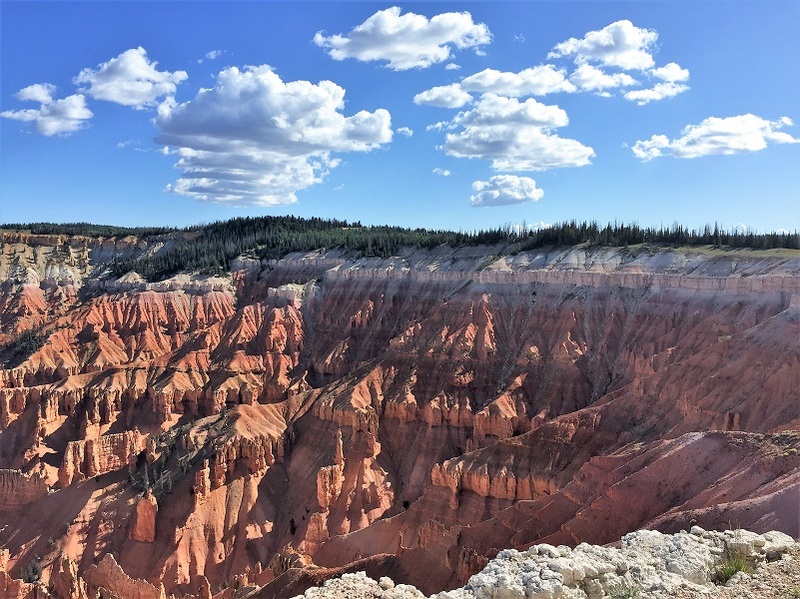 I had been thinking about driving through some country that I hadn’t been to so headed from Cedar City over Hwy 14 to Cedar Breaks National Monument. 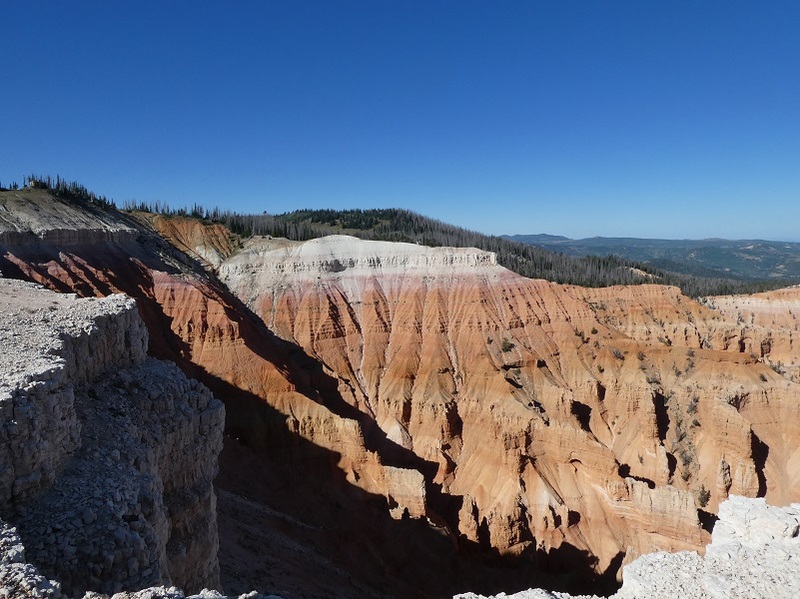 That drive over was gorgeous but Cedar Breaks with its brilliant red 2,500′ deep basin was absolutely breathtaking. 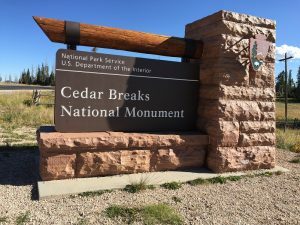 Parking at Cedar Break National Monument’s Information Center, I walked up to the booth handling the entrance fees and my America the Beautiful Pass got me in without any additional cost. This is an annual pass that currently sells for $80 and gets you in to National Parks and other Federal fee areas. There are other passes such as the Senior Pass, Military Passes and permanent disabilities. 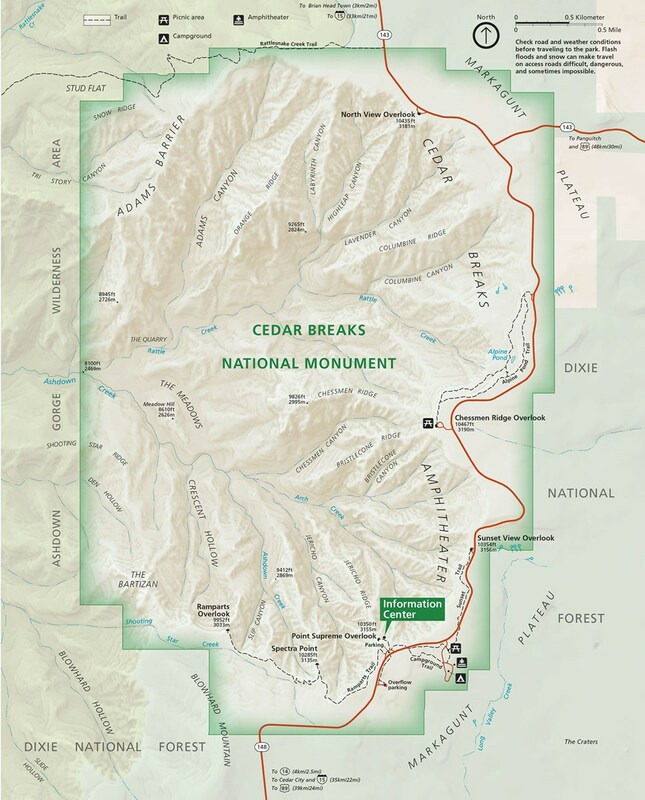 If you don’t have one of these, it is $7 for a day pass to Cedar Breaks and if you are over 16 or under, it is free. You can check out some other fee options under the link under Sources at the end of this blog. 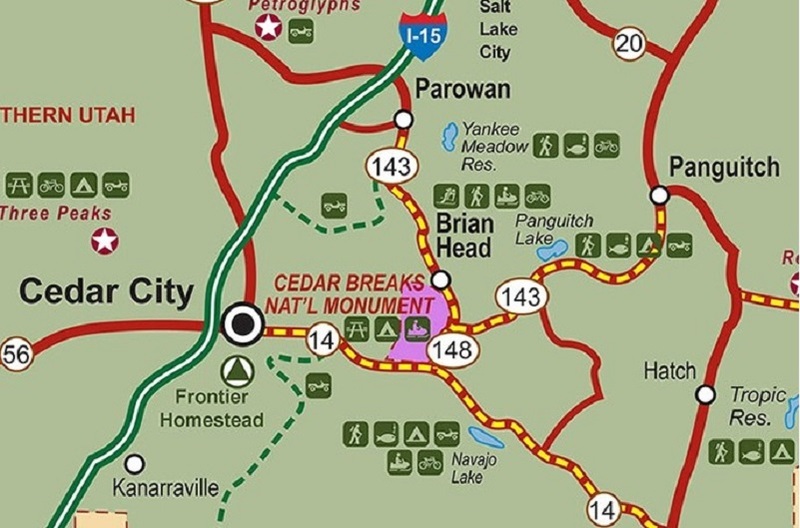 I wondered why this was called Cedar Breaks because I sure didn’t see any cedar trees in the area. 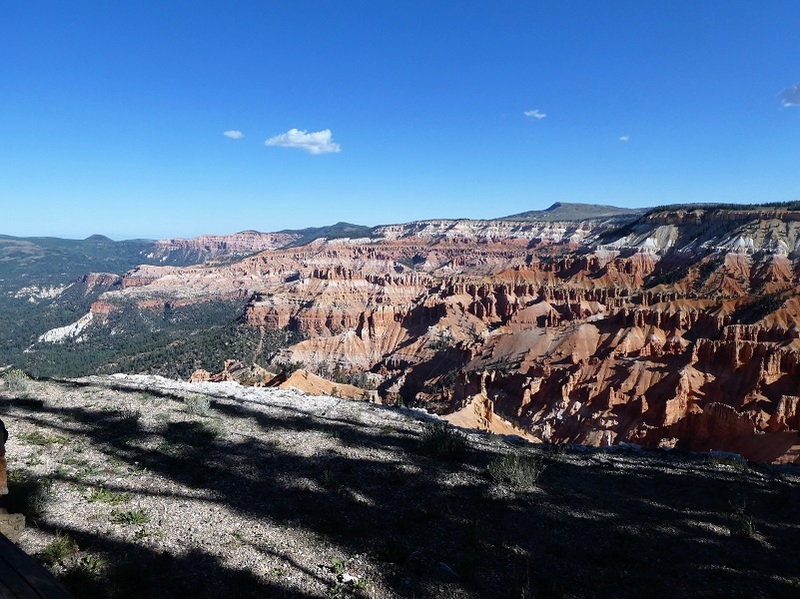 I learned that early settlers thought that the Utah junipers, found at lower elevations, were Cedar trees. 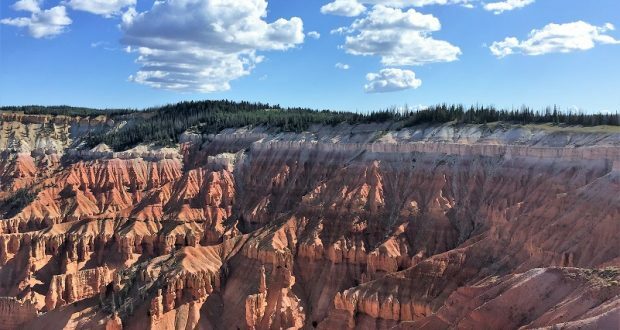 When the area was named by the early pioneers it was common to call badlands “breaks” and that is why the name Cedar Breaks was given. 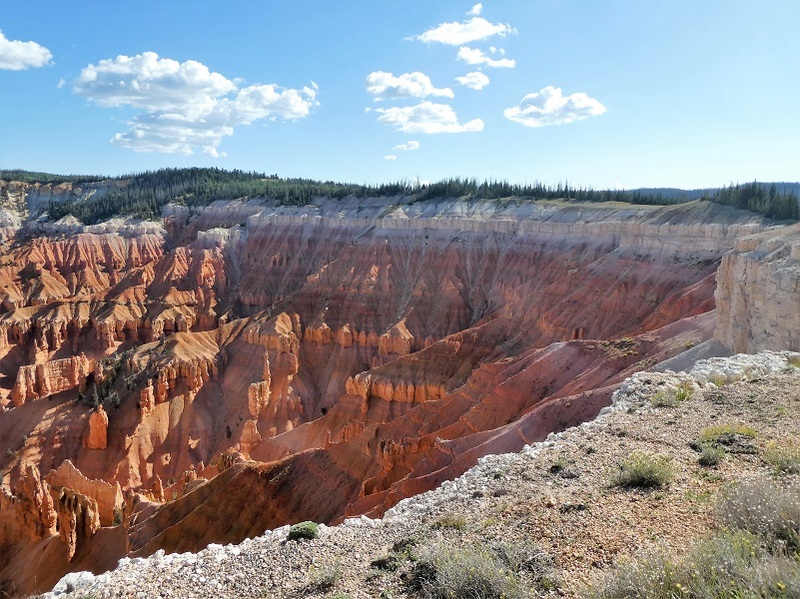 Prior to this, the Paiutes named the Cedar Breaks amphitheater “Circle of Painted Cliffs” or “un-cap-i-un-ump.” Although the “Circle of Painted Cliffs” was the first name, it is Cedar Breaks that stuck. As soon as I started walking up the path, this is the view that unveiled before me. 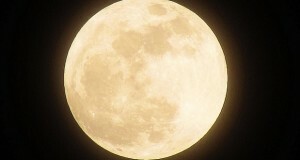 The area was like a crater full of colorful slices of red, orange and pink hues. They call it an amphitheater for a reason because it is almost a 360 degree view of the incredible colors and when a cloud would pass by, those colors changed and cast shadows in different places, highlighting areas that I had missed noticing. 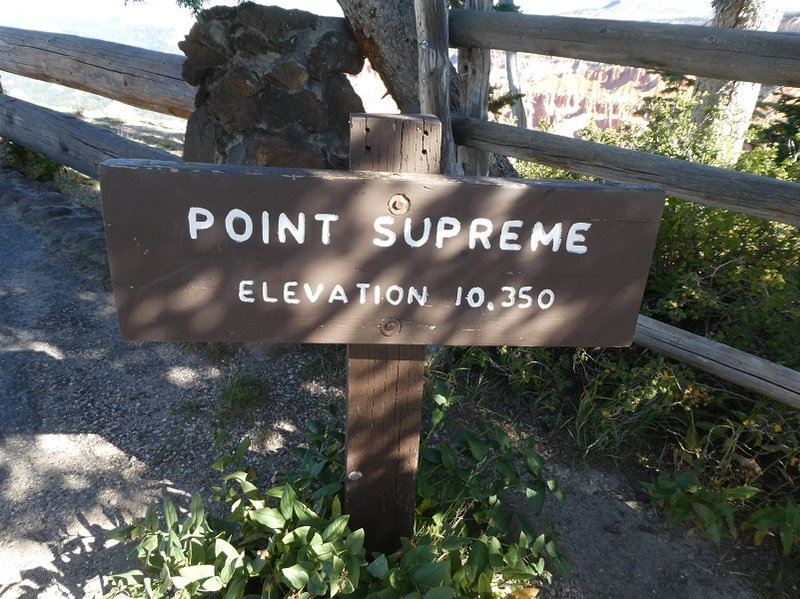 I then saw a sign that this was called Point Supreme and with a name like that, I needed to take a closer look. I continued walking out to the end and lookie at what was waiting for me. 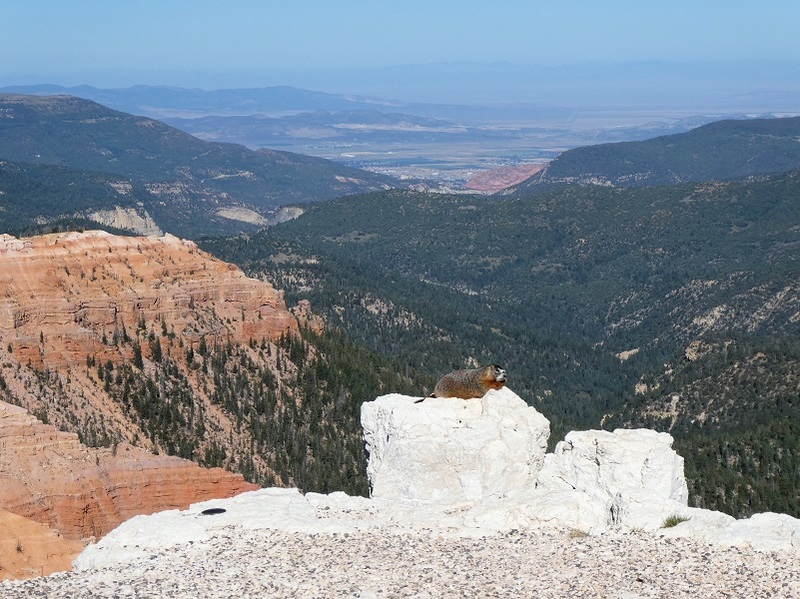 A yellow-bellied marmot was soaking up the sun on a pinnacle and also admiring that view. What a view and how could I capture it? 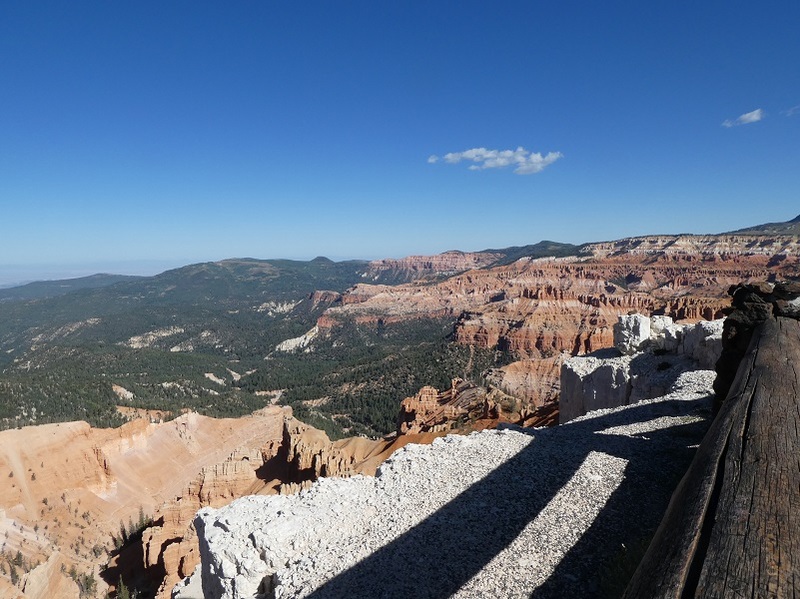 Well, I just couldn’t adequately capture that amazing view, even with a panoramic photograph. I walked along the trail, admiring that view from different angles. 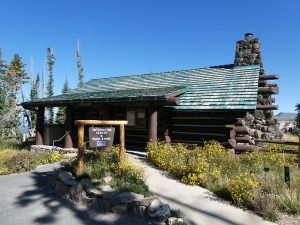 I decided to stop at the Information Center which was constructed in 1937 by the CCC and is listed under the National Register of Historic Places. 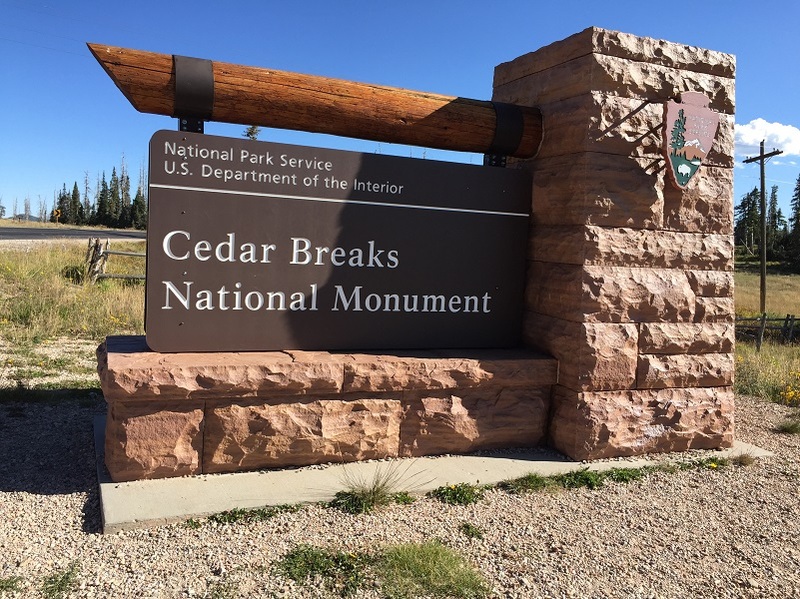 Within the Information Center, I learned a bit about Cedar Breaks’ human history. Native Americans lived in the area for thousands of years before they were disturbed by the white man. 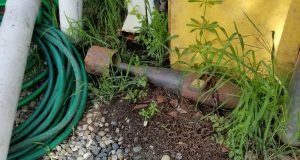 There are many archeological records that document their presence. 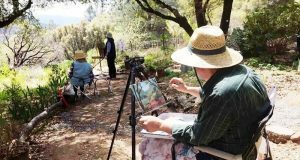 It was the Southern Paiutes that were the first to meet the early pioneers. 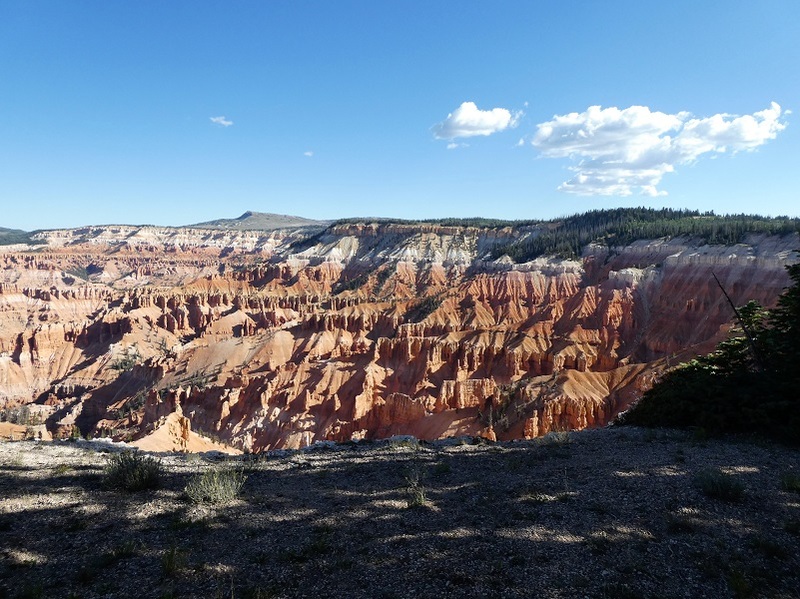 Mormon settlers moved into Cedar Breaks in 1851, forging a wagon trail to transport logs. Life as these Southern Paiute’s knew it changed when their land was taken and disease was brought to the area. Their traditional ways of life slowly changed and more white men came to the forest. I wanted to get moving toward Torrey and got back in my car, slowing heading around the Amphitheater, catching views from a different angle. 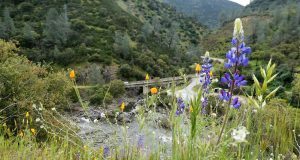 I checked out the campground and would love to come back here when I can spend more time and stay here, walking the trails around the area. 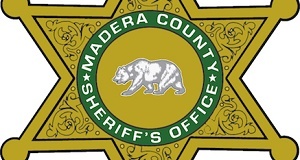 Dogs are allowed on some of the trails on leash and of course there are rules that you can view under the link below Sources.